Whether you are aware of it or not, the average woman knows as much about flower varieties as the average man knows about the various makes and models of cars. And just the way a man will occasionally sit around and daydream about sportscars and how he might buy one someday, women too will occasionally sit around and daydream about roses . . . and how he might buy some one day. While women do love flowers, they always seem to want men to buy them. This is mainly due to the simple fact that women love receiving flowers even more than the flowers themselves. While the old adage claims, "it's the thought that counts," most women seem to want both the thought and the flowers. But the wanting doesn't stop there, believe it or not, for there is still another want that is perhaps the most important to women and often the least understood by men when it comes to flowers. In addition to your thoughtfulness and the flowers themselves, women absolutely love having them both delivered! Before I go on and explain why this is so, I should say that this does not mean women do not appreciate it when their man comes home from a long day with the groceries and bouquet of flowers from the store. This kind of gesture is considered to be very thoughtful, and even romantic by most women. The important thing to note here is that this kind of flower giving should never be confused with having flowers sent to a woman. Sending flowers to a woman is one of the few truly storied and romantic practices that still exists in our culture. It's up there with buying a woman jewelry, or sweeping her away to a tropical paradise for the weekend. 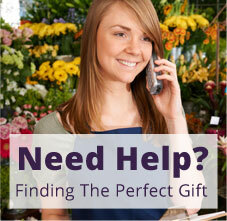 Sending flowers, you will notice, is the least expensive of these practices. By sending flowers to a woman, you will fulfill three key desires that most women have in a relationship; she is loved, she is beautiful, and the people around her think so too. While the last one may not seem as important, it is often felt by women to be the most important aspect of receiving flowers. Don't believe me? Then ask yourself why a woman would ever have flowers sent to herself? Women do it, and not just because they love flowers. If that were the case, they would just pick up some flowers at the grocery store and arrange them around the house, or on their desk. It's cheaper to do, as most guys already know. Then what makes having flowers sent so much different? The answer is in the presentation. When you send a woman flowers, there are usually other women who will notice. 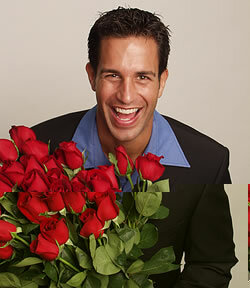 For starters, every single woman within a 500 foot radius will immediately notice her when the flowers are delivered. For that moment, the woman is the center of attention, and the others begin to buzz about how lucky she is, how teriffic you--the sender--must be, and how wonderful your life must be together. The next step for the woman is to call every single person she knows that isn't within 500 feet of her, and tell them about the flowers. Her girlfriends, her mother, they will all know about the flowers within 24 hours of your gesture. They too, will all be envious of how wonderful your relationship must be together. Finally, there are certain benefits to sending a woman flowers that you will also feel as a result of this chain reaction of events in her life. Benefits will vary from person to person, often based on what you may or may not have already done wrong in the first place. Women may be used to receiving flowers on birthdays and anniversaries. They may even quickly notice the absence of flowers on these occasions. But flowers given for no reason other than "I was thinking of you today" make a huge impact because they are unexpected. In a classic case of supply and demand, the price of roses peaks on Valentine's Day. Roses are a great value during the summer months -- all the more reason to give them spontaneously. A bouquet can express a range of feelings -- from romantic to friendly to something in between. Your wife or significant other will love to receive a surprise gift of flowers. So will your mother, daughter, sister and female friends. Women are keenly aware of the multitude of floral varieties available and are eager to see new specimens first-hand. Giving roses of unusual hue -- like peach and pink -- or an arrangement of mixed flowers demonstrates an awareness of color and an understanding of botany that will not go unnoticed. Because of their infinite diversity and unique appeal, flowers can be given time and time again without losing their "specialness." Each new floral arrangement is a fresh and individual declaration of appreciation -- reflecting positively on your imagination and thoughtfulness. Relax, guys. Women know when an arrangement simply means you care. Selecting flowers may be a bewildering experience for the uninitiated man. 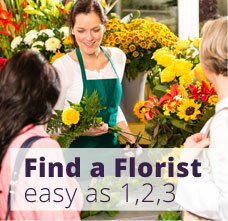 Fortunately, help is available: your local florist can create an affordable and personalized flower arrangement that will match both your sentiment (light or serious) and her personality. When calling your florist, have the name of the woman you are surprising, her delivery address and phone number, and method of payment ready. If you're not sure what you want to order, now's the time to ask for ideas. Every woman remembers the last time she got flowers. Just as you never forgot the first time a woman other than your mom served you a home-cooked meal, she'll treasure this gesture forever. 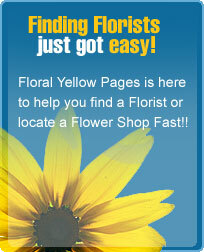 Wed like to thank our friends at the Society of the American Florists for the above information.